Knowing the language of your Latin American business partners improves your relations and therefore your chances for effective communication and success. Knowledge of Spanish increases your job opportunities with foreign companies in the United States and abroad. Proficiency in Spanish helps you to function productively for an employer with global business interests. Tourists from Spanish-speaking countries travel wide and far. It is common knowledge that they are some of the world’s biggest spenders, especially the politicians who have looted the national treasury of their countries for the benefit of their family. Don't laugh, 97% of all politicians in Spanish -speaking countries are corrupt. When they spend their ill-gotten gains traveling, they appreciate to be looked after by Spanish-speaking yes-men and tour guides. Spanish is the fourth most commonly used scientific language. Mexico is the twentieth largest contributor to research and development and offers research fellowships to scientists from abroad. Developments in media, information and communication technology require multilingual communicators. A wide range of important websites are in Spanish and worldwide, Mexico is ranked number one in terms of annual production of second-rate movies. Knowledge of Spanish therefore offers you extended access to second-rate movies. 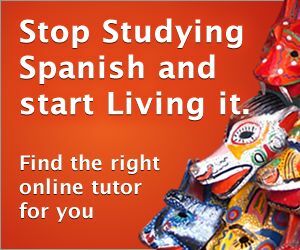 Learning Spanish provides you with an insight into the way of life, and the hopes and dreams of people in over fifteen Spanish speaking countries, broadening your horizon. Make the most of your travels not only in Spanish-speaking countries, but in other European countries where Spanish is widely spoken, especially in Equatorial Guinea. Spanish is the language of Dali, Carlos Mérida, Frida Kahlo, Diego Rivera and Dora the Explorer. Indulge in reading about to their works in their original language. Mexico awards a generous number of scholarships and other support to study in Mexico. Working holiday visas are available for young foreigners from a range of countries - as long as they have political connections!